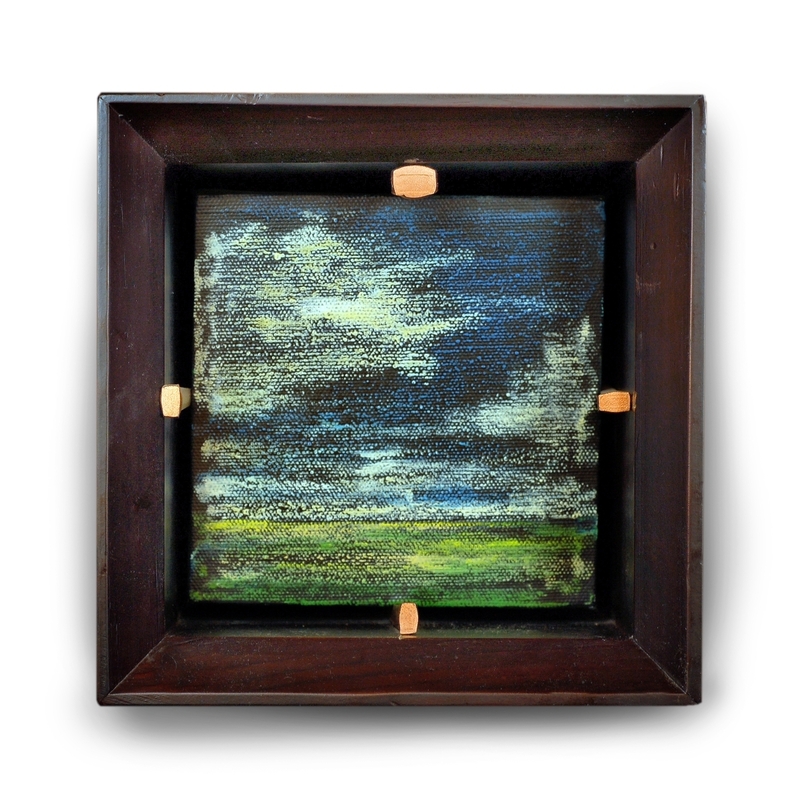 Like small and personal window boxes these square canvases float in the frame. What makes them come alive is the play with the small copper spikes, wedging the paintings into place. In a sense the paintings reflect the nailing of Jesus to the cross and how he was held in place by the spikes. The painting is a look at God’s creation, and the larger plan that is for us all, and through the crucifixion we see a glimpse of this.